Do What You Can is a great website to find out where in your area you can drop off all those items that don’t go in the green, blue, or black bins. Look by postal code, municipality, or item. This website is designed to help you find places to drop-off household hazardous and special wastes and unwanted electronics that can’t be put in your Blue Box and should not go in the garbage. You can search for places by municipality, postal code or material. 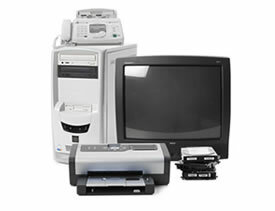 To get started, select household hazardous and special waste, (such as leftover paint, non-rechargeable batteries and empty propane cylinders), or electronics, (such as televisions, computers and fax machines). And thanks for doing what you can to deal with waste responsibly. If you haven’t yet discovered PlanetFriendly.net, you may want to heck them out. They have all kinds of links and resources in areas of environment, sustainability, conservation, and other similar areas. The guide also includes: Home & Garden, Food & Gardening, Construction & Renovation, Health, Products & Services, Books, Magazines, Travel & Recreation, Transportation, Energy, Technology, Community, Ecovillages, Events & Courses, Education, Groups & Organizations, Jobs & Volunteering, Business & Industry, Faith & Spirituality, Simplicity, Activism, and Directories, Portals & Networks.